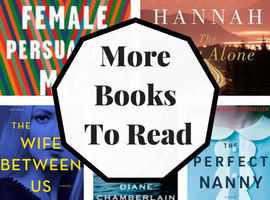 We think you'll find some great books on these pages. 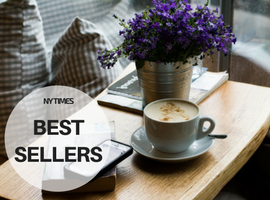 The're all hand-picked by you, our readers. A deluxe collector’s edition of John Irving’s beloved A Prayer for Owen Meany—a coming-of-age tale that ranks among the most cherished American classics, including To Kill a Mockingbird and Catcher in the Rye. In the summer of 1953, two eleven-year-old boys—best friends—are playing in a Little League baseball game in Gravesend, New Hampshire. One of the boys hits a foul ball that kills the other boy's mother. The boy who hits the ball doesn't believe in accidents; Owen Meany believes he is God's instrument. What happens to Owen after that 1953 foul ball is extraordinary. Based on true events in nineteenth century Ireland, Hannah Kent’s startling new novel tells the story of three women, drawn together to rescue a child from a superstitious community. Nora, bereft after the death of her husband, finds herself alone and caring for her grandson Micheal, who can neither speak nor walk. A handmaid, Mary, arrives to help Nora just as rumors begin to spread that Micheal is a changeling child who is bringing bad luck to the valley. Determined to banish evil, Nora and Mary enlist the help of Nance, an elderly wanderer who understands the magic of the old ways. A stunning debut reminiscent of the beloved novels of John Hart and Tom Franklin, A Land More Kind Than Home is a mesmerizing literary thriller about the bond between two brothers and the evil they face in a small western North Carolina town For a curious boy like Jess Hall, growing up in Marshall means trouble when your mother catches you spying on grown-ups. Adventurous and precocious, Jess is enormously protective of his older brother, Christopher, a mute whom everyone calls Stump. Though their mother has warned them not to snoop, Stump can't help sneaking a look at something he's not supposed to—an act that will have catastrophic repercussions, shattering both his world and Jess's. It's a wrenching event that thrusts Jess into an adulthood for which he's not prepared. While there is much about the world that still confuses him, he now knows that a new understanding can bring not only a growing danger and evil—but also the possibility of freedom and deliverance as well. Galileo Galilei was the foremost scientist of his day. Though he never left Italy, his inventions and discoveries were heralded around the world. His telescopes allowed him to reveal the heavens and enforce the astounding argument that the earth moves around the sun. For this belief, he was brought before the Holy Office of the Inquisition, accused of heresy, and forced to spend his last years under house arrest. Galileo’s oldest child was thirteen when he placed her in a convent near him in Florence, where she took the most appropriate name of Suor Maria Celeste. Her support was her father’s greatest source of strength. Her presence, through letters which Sobel has translated from Italian and masterfully woven into the narrative, graces her father’s life now as it did then. GALILEO’S DAUGHTER dramatically recolors the personality and accomplishment of a mythic figure whose seventeenth-century clash with Catholic doctrine continues to define the schism between science and religion. Moving between Galileo’s public life and Maria Celeste’s sequestered world, Sobel illuminates the Florence of the Medicis and the papal court in Rome during an era when humanity’s perception of its place in the cosmos was overturned. With all the human drama and scientific adventure that distinguished Latitude, GALILEO’S DAUGHTER is an unforgettable story. The American classic about a young girl's coming-of-age at the turn of the century. This P.S. edition features an extra 16 pages of insights into the book, including author interviews, recommended reading, and more. From the moment she entered the world, Francie needed to be made of stern stuff, for the often harsh life of Williamsburg demanded fortitude, precocity, and strength of spirit. Often scorned by neighbors for her family’s erratic and eccentric behavior-such as her father Johnny’s taste for alcohol and Aunt Sissy’s habit of marrying serially without the formality of divorce-no one, least of all Francie, could say that the Nolans’ life lacked drama. By turns overwhelming, sublime, heartbreaking, and uplifting, the Nolans’ daily experiences are tenderly threaded with family connectedness and raw with honesty. Betty Smith has, in the pages of A Tree Grows in Brooklyn, captured the joys of humble Williamsburg life-from “junk day” on Saturdays, when the children of Francie’s neighborhood traded their weekly take for pennies, to the special excitement of holidays, bringing cause for celebration and revelry. Betty Smith has artfully caught this sense of exciting life in a novel of childhood, replete with incredibly rich moments of universal experiences--a truly remarkable achievement for any writer. FNEW YORK TIMES BESTSELLER • For readers of The Nightingale and Sarah’s Key, inspired by the life of a real World War II heroine, this remarkable debut novel reveals the power of unsung women to change history in their quest for love, freedom, and second chances. This book does an excellent job of showing the strength of the mother child bond. And as promised, it also shows how far a mother will go to protect her child. The premise is fantastic, a group of people, trapped in a zoo for three hours, with active shooters hunting them down. The story will resonate with a lot of people, especially given our cultural problem of guns getting into the wrong hands. There are some unrealistic instances in this book, and the author introduces a few characters, who disappear and then late in the plot suddenly reappear. You never get attached, so it is hard to root for them. In summary, the book works on some levels and not so much on others. Overall, a good read.